We all sit back, watch the Channel 4 show Grand Designs and think “wouldn’t it be fantastic to live in a house like that”. Now, thanks to Savills Glasgow, this dream can come true. One of the most talked a about grand designs from the series is now up for sale, and we will show you just some of this serene property’s many qualities. Set within over six acres of grounds and gardens in the picturesque setting of West Stirlingshire, Stilwater uses the peaceful, tranquil feel of its surroundings to create a space that makes every day feel like a lazy Sunday afternoon in with the papers. 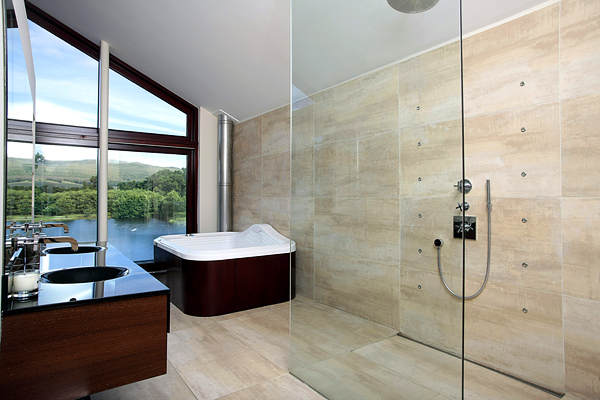 This contemporary villa with its own private loch is set over two floors, seamlessly combining modern features and finishing’s with the natural world outside through the use of huge panes of floor to ceiling glass. 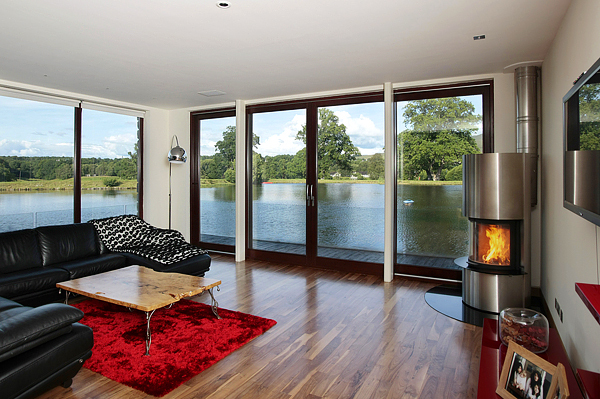 Although it is most definitely a 21st-century, open-plan home with all the fittings you would expect, the American-walnut flooring emerges with the loch view to create the feel of a traditional log cabin. 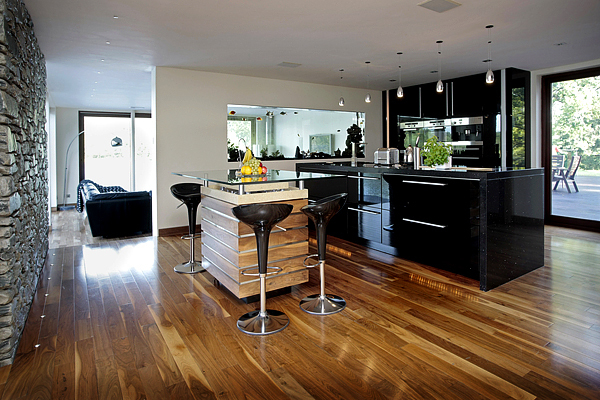 In fact, everywhere you move in this property is designed to remind you of your place within the wider environment. Even if you aren’t facing a window directly, ingenious positioning of reflective surfaces brings the outside into every corner of the home. Four bedrooms – three with en-suites – two walk-in dressing rooms, Jacuzzi whirlpool bath, sauna and wet room shower are included in the property, along with the usual open-plan kitchen-dining area and two terraces. In addition to the interior of the property, the outside is equally impressive. 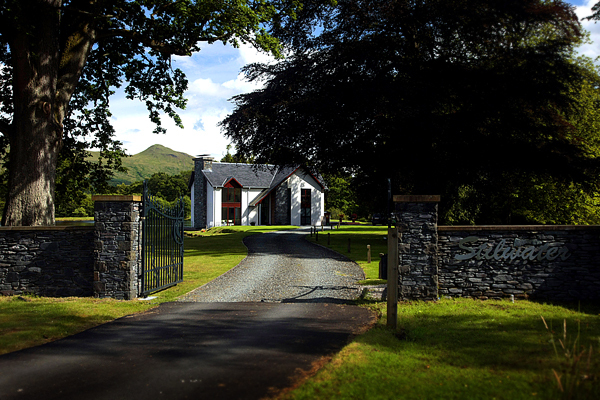 Electric gates open onto a gravel driveway, which sweeps through the grounds towards the property itself. The highlight though, for us anyway, is the 2.5 acre private loch, ready-inhabited with rainbow trout and other wonderful creatures. How many people get the chance to purchase a home, and then watch an hour-long primetime television programme showing the journey from humble plot of land to spectacular home for all the family? Even if you aren’t influenced by this, Stilwater’s meeting of the contemporary and the natural should win over any skeptics. This is gorgeous…the bedroom view is like living on a boat.